What are the Benefits & Reasons of Jailbreaking iPhone 7 Plus? Without any doubt, Apple’s new flagship has already broken the ground with the number of amazing features and almost all the people are enjoying its new additions like lock screen widgets, iMessage effects and raise to wake feature. 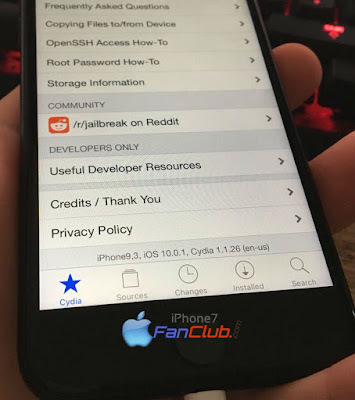 While at the same time, some people want to get more benefits out of it for their value and money using jailbreaking technique. Jailbreaking the iPhone 7 and 7 Plus can enable you to remove the restrictions imposed by the Apple Inc. and thereby allowing you to customize your experience by accessing all the restricted features that you want. So, in this article, we will go through some solid benefits of jailbreaking iPhone 7 and 7 Plus. The biggest benefit that you would achieve by jailbreaking your iPhone 7 and 7 Plus is the app enhancements. The jailbreak of this flagship can help you to add a completely boosted functionality to the stock and third party apps that you surely don’t want to miss. Like Pokémon Go, the love of our youth can get number of tweaks that will allow you to enhance your gaming experience to fullest. 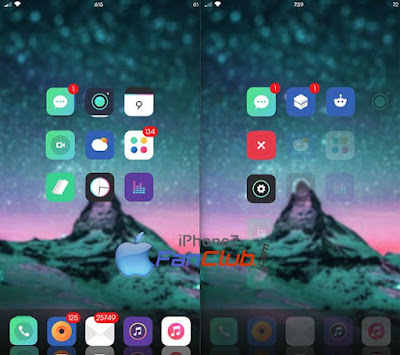 Not only this, Cydia store is also filled with the jailbreak tweaks ranging from Instagram additional features for saving photos and videos to hacks for Snapchat. Moreover, by jailbreaking their iPhone 7 and 7 Plus, the users can uninstall the default apps that come with Apple like Mail, Photos and more. Well, if you count on the most lacking feature for the iPhone 7 and 7 Plus is the missing File Manager, that you can have on your same device through jailbreaking. So, by jailbreaking tweak, you can have file manager access to your iPhone through which you can manage, edit and access all your files present in your phone, even the downloaded ones. As mentioned above, with the jailbreaking iPhone 7 Plus, you can customize your phone in every possible way you could. You can install themes to your Apple device to change the look and feel of it. Not only this, you can also change the icons of the apps, that annoy you since the time you have brought your first iPhone, well, that would surely a good turn. 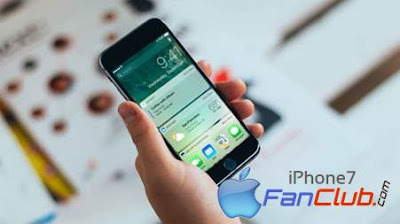 With the launch of iOS, many people were disappointed to know that some of its features are only limited to the latest Apple devices like Raise to wake etc. But thanks to jailbreaking iOS 10, now such features can also be accessed on the older devices like iPhone 3, 4, 5. You can see number of tweaks that bring 3D touch functionality to older devices. Not only this, sensor technology has also been brought to such devices. You might have often heard that jailbreaking your phone can open up a loads of security concerns for the users like malicious activities or vulnerabilities, but with the jailbreaking iPhone 7 and 7 Plus, this concern has been vanished. You can prevent the access of private apps and folders by locking them with Touch ID or passcodes and prevent the unauthorized people from accessing them. Moreover, you can also get the ransomware removed from your device using the jailbreaking technique. Although jailbreaking your iPhone 7 and 7 Plus offers number of drawbacks, however, its full list of advantages and tweaks still leaves the reasons to do it. You can get all the above mentioned benefits of jailbreaking, but only with the untethered jailbreak for iPhone 7. Next story How To Jailbreak iPhone 7 / Plus / iPad iOS 10 – 10.1.1 with Yalu Jailbreak?